Comeback Kids! Midway through the 1st period, the Pens fell victim to what they have been doing to teams all season long. Rochester exploded with goals from Ryan Del Monte, Michael Duco, and Bill Thomas in a span of 4 minutes to grab the 3-0 lead. It seemed that the streak was almost certainly headed to an end. A sign of a winning team is the ability to dig deep after a lapse like this and start getting back into the game. WBS did just that. 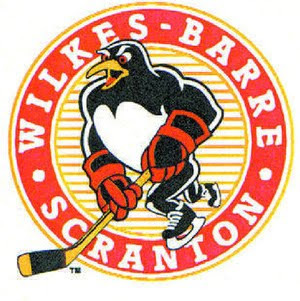 Chris Collins was the first to score for the Pens after a solid shift by the 3rd line to put WBS on the board. Brett Sterling answered slightly more than a minute later with a powerplay marker to cut the deficit to 1 at the intermission. The 2nd period got off to an interesting start. Just a few minutes into the 2nd there was an altercation that erupted in front of the Rochester net that featured Bortuzzo and Duco throwing down and Jesse Boulerice fighting with Rochester GOALIE Tyler Plante. Supposedly there was also an incident of Jesse getting a piece of the official during the scrum but it wasn't intentional so hopefully there will be no repercussions. Then the Pens got back to work. Chris Conner scored midway through the 2nd to tie the game up at 3 and then the rest of the period was a defensive struggle. The third period started with an Eric Tangradi double-minor penalty but it was the Penguins who were able to cash in when Dustin Jeffrey gave the Pens the lead with a short-handed goal less than 4 1/2 minutes into the 3rd. Defense again became the dominant trend until Tim Wallace gave the Pens an insurance goal late in the game. Actually, it was a very important insurance goal as the Amerks answered back just a few seconds later to cut the lead back down to 1. Brad Theissen was able to do the rest and shut Rochester down for the rest of the way and the Pens find themselves at 9-0. WBS caught an incredibly bad break by the schedule maker for the rest of the weekend. Nothin like a 5 hour bus ride back to WBS for tomorrow night's game vs Syracuse so you can go all the way back to Rochester the day after.